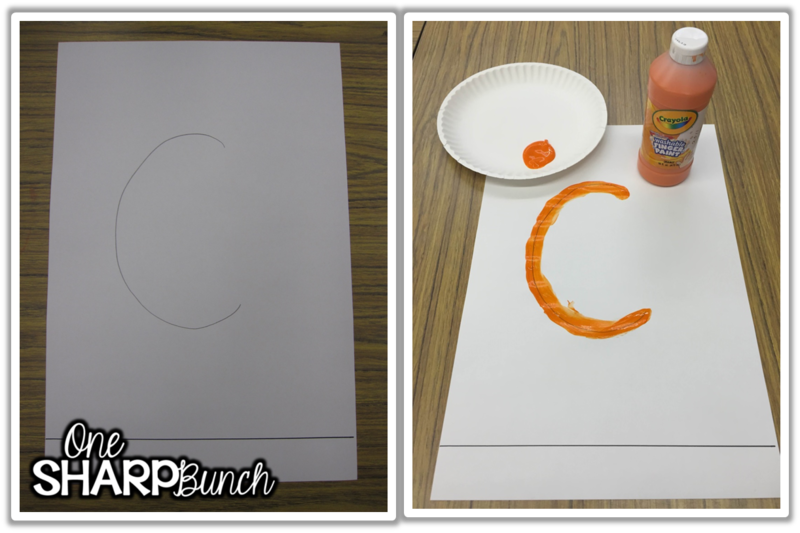 Today I am here to share why C is a magic letter! My students were so intrigued by this lesson! Just the mention of the word “magic” peaked my kinders’ attention. You could have heard a pin drop! Of course, I played Magic C up for a few days before we actually completed this activity, so by then, they were dying to know why C was magic! Before I let you all in on C’s magical powers, I need to let you know that I do not teach the letters in alphabetical order. 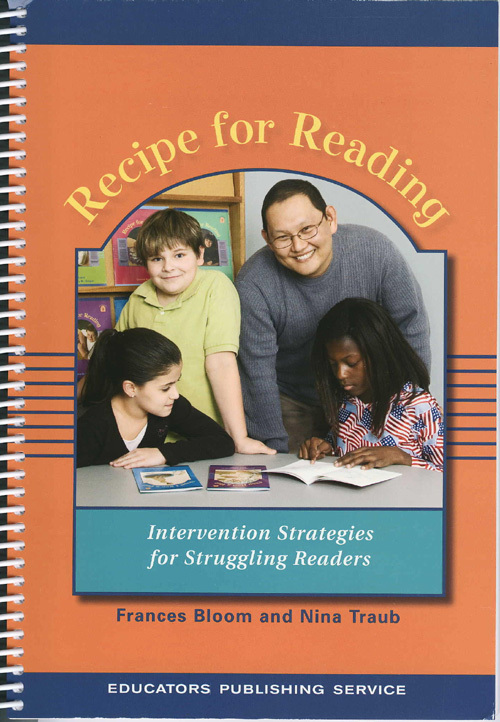 I use Frances Bloom’s and Nina Traub’s Recipe for Reading. In their book, they begin with the letter C because lowercase c can easily be turned into other letters of the alphabet (o, a, d, g, q). This book was given to me by my host teacher when I completed my student teaching many moons ago, and I have been using it ever since! For this lesson, I prepped a 12 x 18 piece of white construction paper with the letter C and a black line. Then, I pulled out the ever coveted finger paint! We had to let the paint dry over night, which of course, only created more curiosity about Magic C! On the following day, we began turning C into something, but we weren’t quite sure what! I just loved all their guesses… octopus, oreo (can you all say Halloween Oreos – To. Die. For), cat, cow, and a host of others. 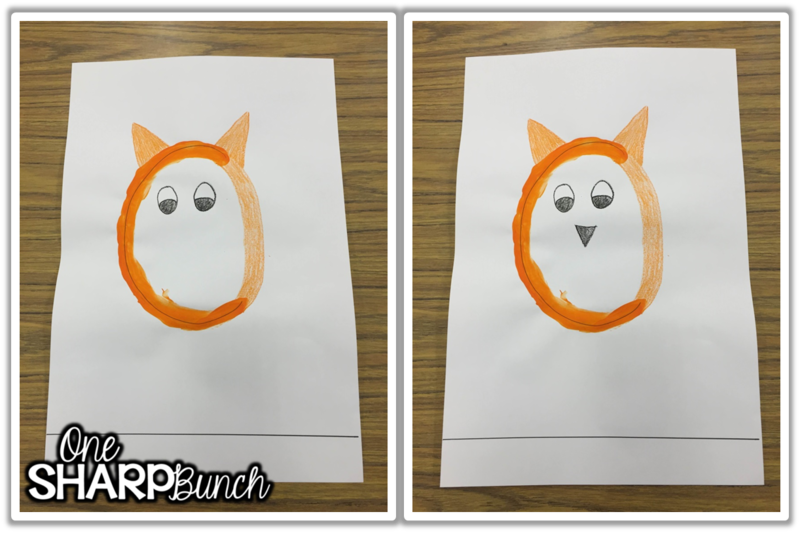 We continued with our guided drawing by adding eyes and a nose (ovals and an upside down triangle). 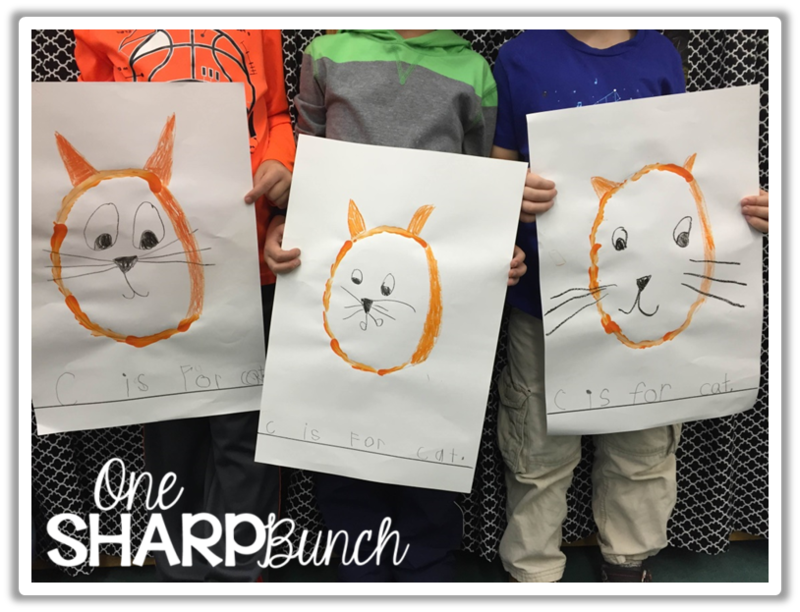 Yes, we reviewed our shapes too! By this point, the kiddos had a pretty good idea of what we were drawing! 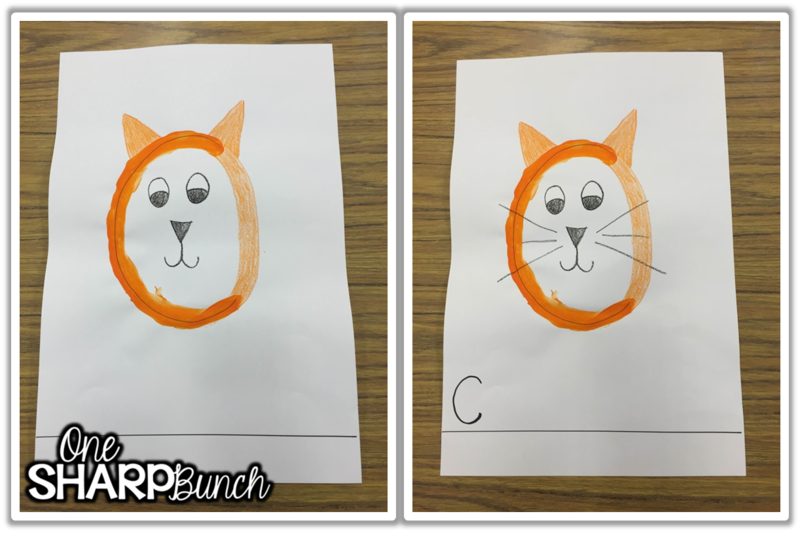 Last, we added the mouth and whiskers. 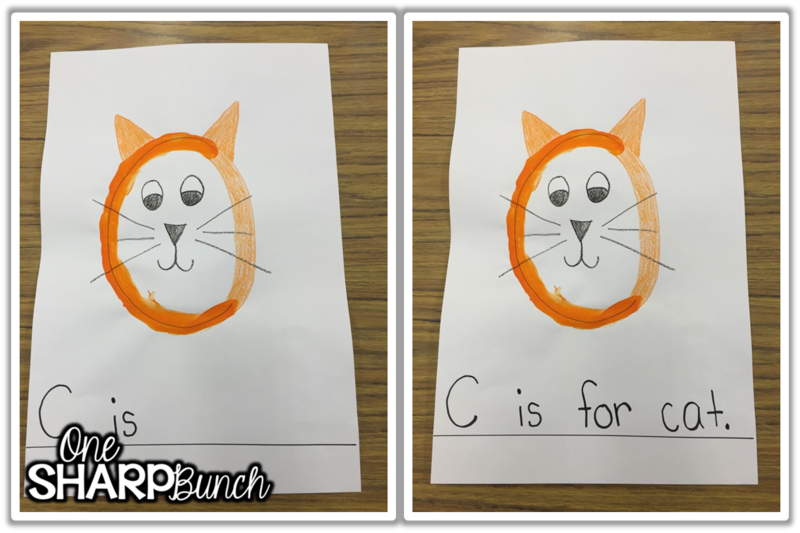 Plus, we began to write “C is for cat.” across the bottom. This part is totally optional, but I wanted to review beginning with a capital letter, using finger spaces, and ending with a period. Check out the finished products! Don’t these Magic C cats look so precious?!?! I wish you could see the pride in these kiddos’ faces! After doing some research, I discovered that these types of pictures are called embedded picture mnemonics. They really are a useful tool for teaching letters and sounds! AND if you are like me, you are probably wondering… mnemonic instruction is a form of memory enhancing instruction, which has been scientifically proven to improve the storage and retrieval of information from long term memory. 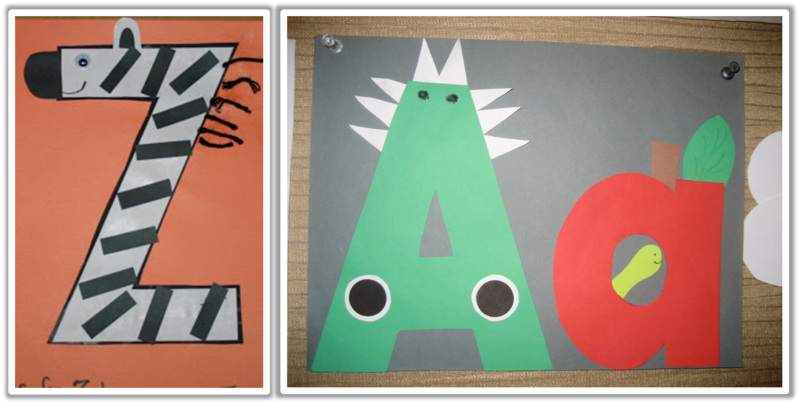 So, these alphabet crafts really do help our little learners remember the letter, picture, and often sound! 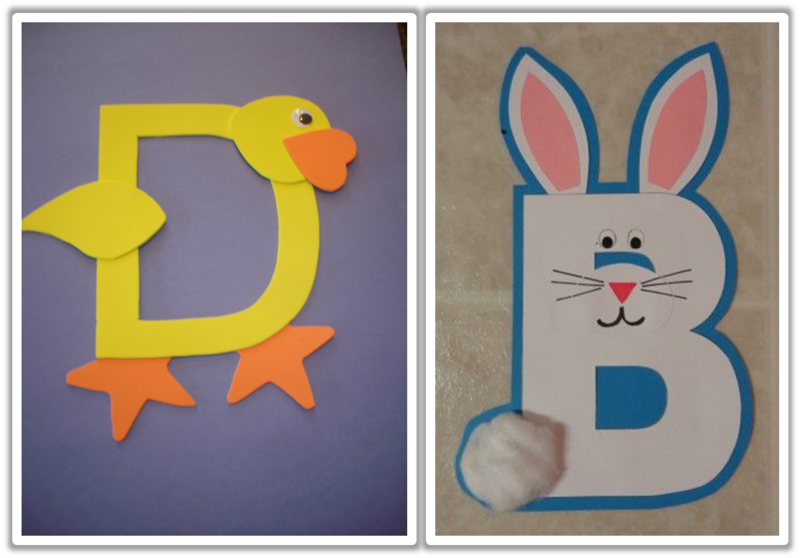 How cute is this D duck from Play and Learn Dana and B bunny from an unknown Pinterest source?!?! 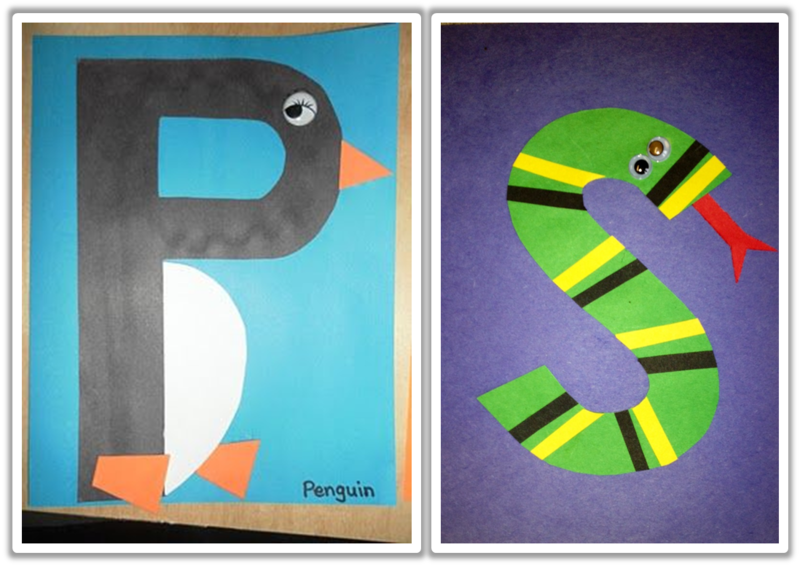 I also love this P penguin from Rockabye Butterfly and this S snake I found on Pinterest! AND how about this adorable zebra from Blessings Overflowing, as well as the alligator and apple found on Pinterest?!?! I wish these pictures linked to a source, so I could give credit where credit is due! I also found an entire board dedicated to embedded picture mnemonics from Storytime Standouts! Alphabet crafts are just one way I like to introduce the alphabet. As we begin exploring letters and sounds, I also like to send home the “Letter Box” and ask that particular student to bring in three-five items that begin with that letter. The kiddos cannot wait for it to be their turn to take it home! This student had the letter Cc, and he brought in some great real-life examples… so much more meaningful than looking at pictures or cards! You can read more about the “Letter Box” and grab a FREEBIE here! I hope you enjoyed this Magic C lesson! Great magic C idea! 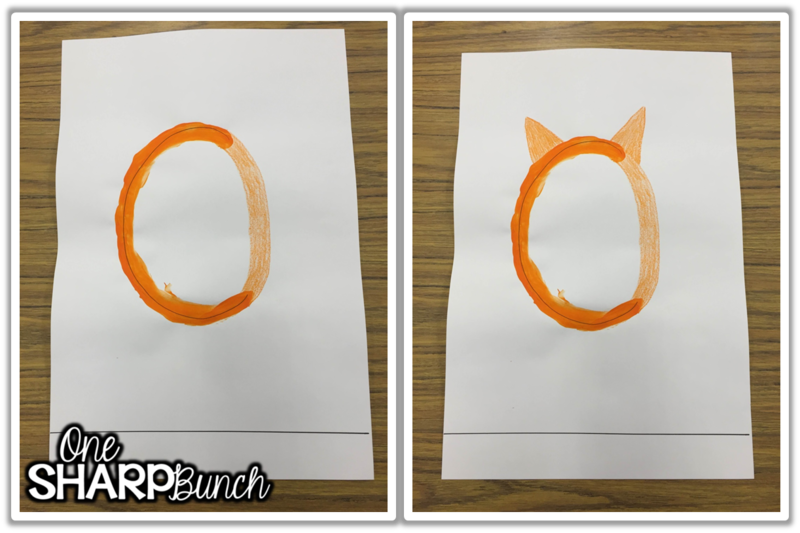 I do one letter craft a week with my preschooler and we've done up to letter O. You can check them out here: http://www.pinterest.com/musingsofamum/abc-fun/! Hi Ashley. I absolutely love your blog! The design is amazing and the ideas you've posted are amazing. I've nominated you for the Liebster Award.